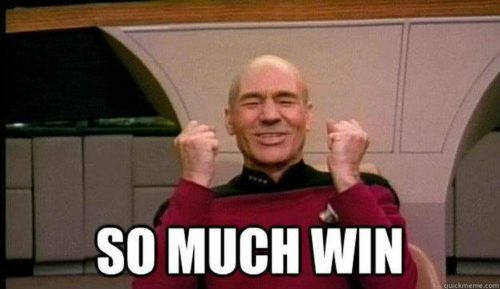 In celebration of Star Trek and Augmented Reality, we recreated “The Game” from Star Trek: The Next Generation using Microsoft HoloLens and Galvanic’s Pip biosensor. 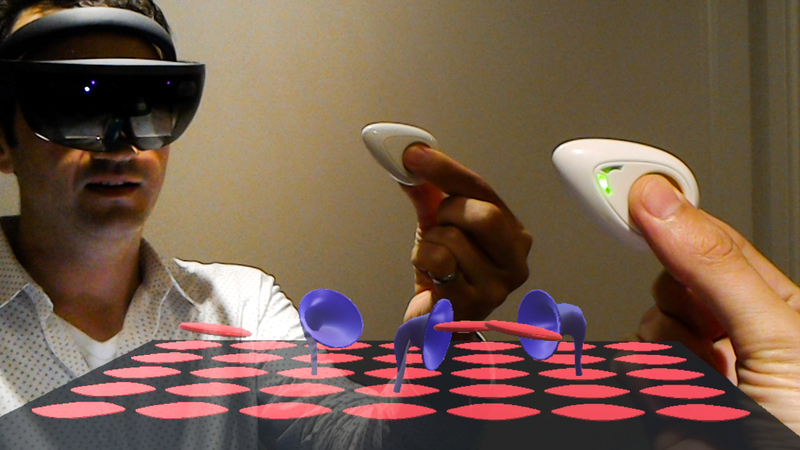 This is a “Mixed Reality” recording captured through Microsoft HoloLens, showing the Augmented Reality game board and the Pip biosensor I’m holding to measure my stress level. 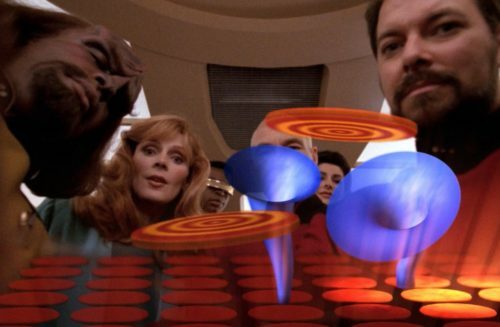 Star Trek has a history of envisioning technologies that eventually become real. Often faster and more addictive than anyone expects! 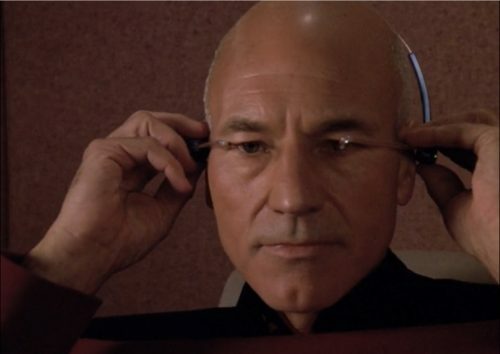 There’s an episode of Star Trek: The Next Generation called The Game, where the Enterprise crew get a fancy pair of glasses from an alien race called the Ktari. A person wearing the glasses can see and play an augmented reality game that’s controlled by their state of mind. The more you relax, the higher you score. It turns out (spoiler alert!) that the game is actually a trojan horse, and contains a program that is extremely addictive and takes over rational thought – much like a little AR game that everyone is playing these days. Pokemon GO players, we’re looking at you! Putting virtual objects into the real world? Totally possible with HoloLens. You’d need a device that can render the virtual game world. In the original Ktari game, the lower half of the player’s field of view is covered by the game board, while the upper half of your vision consists of real-world sensory input (e.g. smiling Ashley Judd). 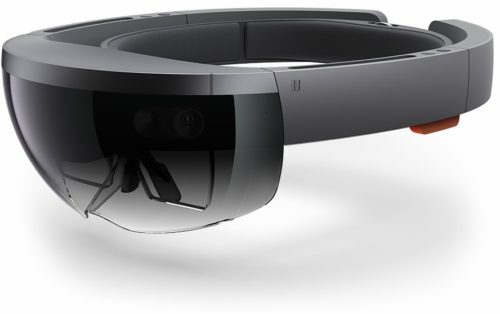 Enter Microsoft’s HoloLens. This self-contained holographic computer provides the hardware and software to render holograms and spatial sound. It’s implied on the show that the Ktari system renders straight onto your retina. The HoloLens projects its Augmented Reality field of view in front of your eyes, and allows you to see through the glasses into the real world wherever holograms aren’t present. In 2016, it is truly an awesome experience. You’d need a sensor that can measure your stress level, and use that stress data to control elements of the virtual world. 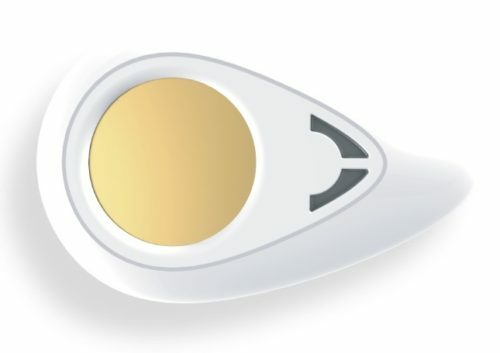 Enter Galvanic, and their Pip biosensor. The Pip is an elegant hand-held device that measures Electrodermal Activity, the measure of skin conductivity typically used for measuring stress in settings such as lie detector tests. It transmits a signal indicating how a person’s stress level is changing at any moment. Galvanic released a series of apps that use the Pip to help a person de-stress on Android and iOS, but not the HoloLens. Until now. Insert Star Trek Integration Joke here.. and.. RESULTS! Here is a 3-minute YouTube clip showing how the game works in real life end-to-end, including augmented reality, voice commands and biosensors. Modeled on Star Trek, the gameplay involves hungry little funnels we nicknamed GobbleCones. They rise from the ground, on the hunt for discs that also surface from the game board. The more you relax, the more discs GobbleCones eat, the better you do, and the more GobbleCones appear. It’s a Ktari GobbleCone Riot. If you don’t have a Pip biosensor, the game can also be controlled using voice (also ST:TNG inspired), which I demo in the short video above. Speech input is yet another technical problem we’ve “solved” in the intervening years since 1991, along with Fermat’s Last Theorem. Pre-rendered CGI from 1991, vs real-time graphics from 2016 running on a self-contained computer sitting ON YOUR HEAD. We’re pretty close. We could play with some of the lighting (HoloLens does support that) and make the discs fly a little higher to better match the TV show. But one thing you can’t see in these screenshots and videos is that the discs in the foreground appear right up in your face due to the HoloLens stereoscopic view. By presenting objects that close, we’re flagrantly disregarding the HoloLens User Experience guidelines, but whatever! It totally transports you to Ten Forward. Bringing the Ktari Game to life was a “weekend” project that took on a life of its own. Daragh McDonnell, CTO of Galvanic, provided us Pips and the libraries we needed to integrate them into the HoloLens. Matthew Lloyd (modeler and animator) and Phil McDarby (co-designer of the Pip), both now of Brown Bag Films, created the designs that capture the look and spirit of the original. Scott Eaton advised us on the real-time (skinned morph target) rendering technique. Alex Drenea, Infusion’s HoloLens wizard, catapulted me into holographic app development. Jeremy Bibby and Robert Ringham, Infusion Practice Experts, also gave tech pointers. And Infusion is a Microsoft HoloLens launch partner and Canada Partner of the Year, so I’m grateful to Infusion’s leadership for letting me use prototype hardware for extra-curricular shenanigans. Honored by the coverage of this project at: Popular Mechanics, Futurism, Gizmodo, Nerdist, Next Reality News, Reddit. And excited to be presenting it in San Francisco in January 2018.